As a 40-year resident of Davidson and a 1995 graduate of Davidson College, Mike brings an incredible amount of knowledge and a unique and valuable perspective on the local area and market to TSG Residential. After graduating from Davidson College, Mike spent seven years building houses and working in the utility construction industry. In 2002, Mike joined Knox Realty and became a market leader in residential sales, builder representation and commercial brokerage completing over 50 million in successful real estate transactions all while cultivating long lasting partnerships and client relationships. In 2009, Mike left general brokerage to become the Director of Property Management and Real Estate for Davidson College, a position he held until 2017 when he join TSG Residential. As the Director of Property Management for Davidson College, Mike managed the college’s full real estate portfolio including acquisitions and liquidation, the faculty and staff housing and relocation programs, residential & commercial construction projects off the main campus, real estate gifts, and regulatory issues and utility easements across college owned property. 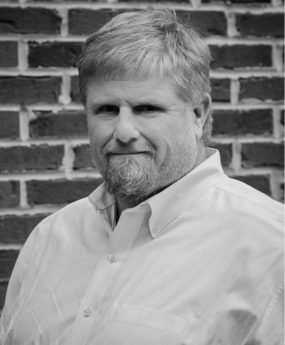 Committed to community engagement, Mike has served on the Board of Directors for the Davidson Housing Coalition and currently serves on the Town of Davidson’s Design Review Board, the town’s Inclusionary Housing Committee and is a member of the Town of Davidson’s Library Endowment Board. Mike is also in his second year of a 3-year appointment to Mecklenburg County’s Board of Equalization & Review which evaluates real property tax appeals to the county. In his free time, Mike enjoys helping coach his son’s baseball team, tackling challenging renovation projects and volunteering at Davidson Elementary school. Mike lives with his family in a 1920s cottage in downtown Davidson.